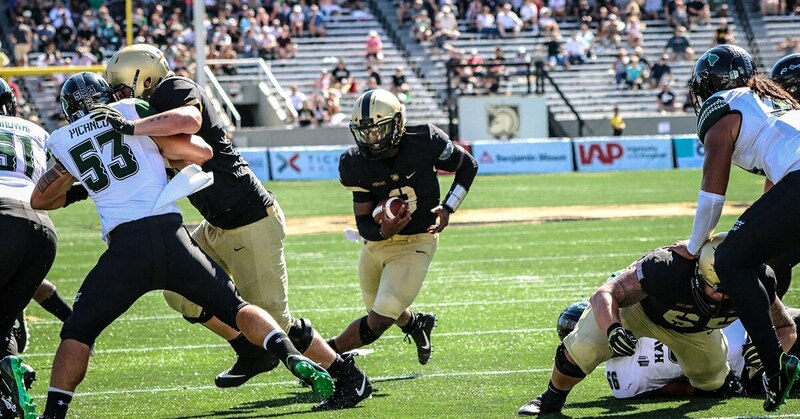 WEST POINT, N.Y. — Kelvin Hopkins is feeling confident running Army’s option offense three games after three games as a starter. Hopkins didn't buy into hype of his quarterback matchup against Hawaii's Cole McDonald, the nation's leading passer, stayed with Army's system and turned in a career day. 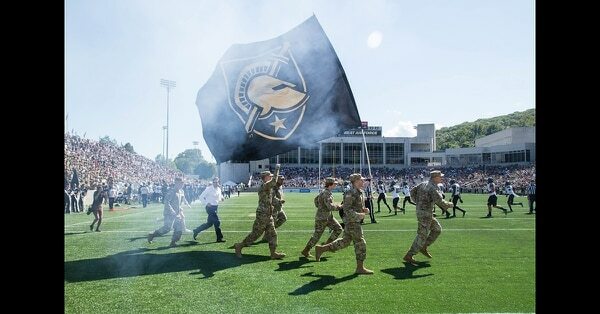 Hopkins rushed for a team-high 110 yards and two touchdowns and completed 6-for-10 passes for 162 yards as Army knocked off unbeaten Hawaii and extended its home winning streak to nine games Saturday. Army coach Jeff Monken knows his Black Knights are a work in progress. At least, they’re headed in the right direction. He became the first Army quarterback to have a 100-yard rushing and 100-yard passing game since Chris Carter against Rutgers on Nov. 21, 2015. The junior scored a pair of 1-yard touchdown runs to give Army a 14-7 lead with 12:54 left in the first half. The quarterback's second touchdown was the first time that Hawaii had trailed in a game this season. "It's a team game and I just wanted to do my part," Hopkins said. "''My confidence comes from my teammates. They have confidence in me and I have confidence in them. That's what we are building on, just getting comfortable and trusting the guys I have out there in front of me." Linebacker Cole Christiansen broke up McDonald's pass in the end zone with 54 seconds left to seal the win for Army (2-1). McDonald, who entered the game with an NCAA-high 1,165 yards and 13 touchdown passes, faced consistent heat from Army's pass rush and was forced to rush some throws. Army sacked McDonald three times. Senior linebacker Kenneth Brinson recorded two sacks for the Black Knights. "Getting pressure was key," Christiansen said. "That quarterback is not used to having guys in his face. He's great. Their offense was fantastic. We just prepared really well this well this week and that's why I think we played well." Hawaii opened the game with a quick strike. McDonald capped a five-play, 75-yard drive with a 12-yard touchdown pass to John Ursua. McDonald and Ursua would connect again in the fourth quarter and an 80-yard scoring strike for the receiver's seventh touchdown of the season. McDonald finished 20-for-32 for season-low 321 yards and two touchdowns. "Hats off to them (Army), they came at us hard," McDonald said. "But, we also kind of shot ourselves in the foot, penalties, dropped ball, bad reads on my part, bad throws. Things that we have to clean up if we want to have an efficient, high-octane offense." Junior fullback Connor Slomka added a career-long 48-yard touchdown in the second quarter. Darnell Woolfolk's 3-yard touchdown extended Army's advantage to 28-14 with 9:07 left. Hawaii, which arrived from a 5,000-mile, cross-country trek Wednesday in the New York area, dropped to 2-11 in games played in the Eastern Time Zone. The Rainbow Warriors won 31-28 in their last visit to Michie Stadium in 2010. Daniel Jones was a more efficient passer than Army’s quarterback — and that’s more impressive than it might seem. Hawaii: Hawaii’s passing attack started off quickly as McDonald completed four of his first five passes on the Rainbow Warriors' first drive and moved the ball in the fourth quarter. But, Hawaii struggled to convert on third down, making 1-of-7 chances. Army: The Black Knights are no longer a one-dimensional running team with Kelvin Hopkins at the helm. Army, the nation’s rushing leader in 2017, has surpassed its passing total of 361 yards through four games. Hopkins has thrown for 420 yards this season.